Clip the coupon on the product page to make it $4.42. Subscribe and Save to make it $4.12. If you have 5+ items that you Subscribe and Save, it will only cost $3.53 per 16-pack. Sign up and have the coupon emailed to you then go to your local GNC store with the coupon and a valid college ID – Easy Peasy. Buy this bundle from TigerDirect and you will get the Memory card free after a $60 rebate from Total Defense and a $5 rebate from Patriot. You can only do this rebate if you have not already done it in March. Check out this Slickdeals thread for information about filling out the rebate. Keurig Brewers are on sale from Office Depot. –Keurig K10 Mini Plus Personal Brewer [officedepot.com], $59.99 after sale and coupon. –Keurig Vue V500 Brewing System [officedepot.com], $89.99 after coupon. Keurig Vue V1255 Brewer [officedepot.com], $97.49 after coupon. –Keurig K65 Coffee Brewer [officedepot.com], $112.49 after coupon. –Keurig K75 Platinum Brewing System [officedepot.com], $134.99 after coupon. 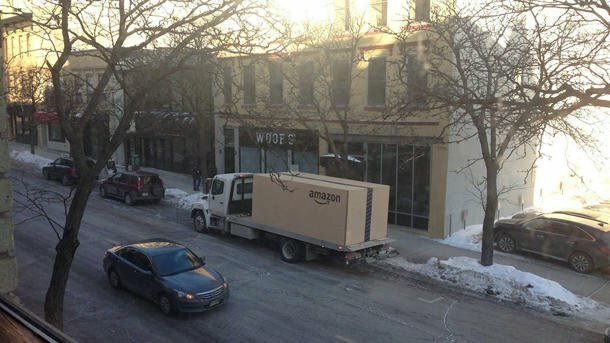 Yes… apparently Amazon is selling cars now.